I'm sure you've seen many of the "What I'm Wearing" posts. Well, this is a "What I could be wearing, if I'd bothered to shower, put on make-up, and do my hair" post. So...you get to see my recent creation on my dressmaker's dummy. 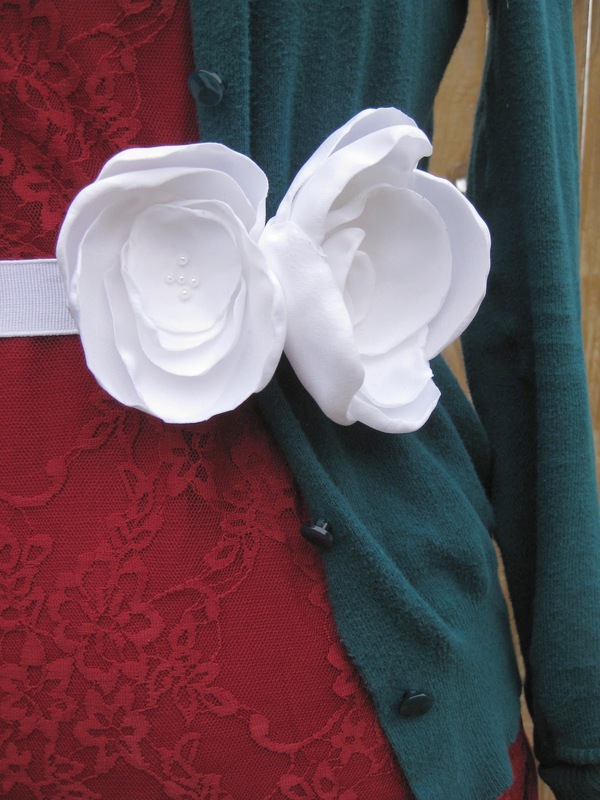 I just sewed a pant hook to a grosgrain ribbon, and made a couple of flowers to clip on. Simple. I didn't use a tutorial to make them, but this is a good tutorial for a ribbon belt, and this is a good tutorial for a singed flower. Pretty! Love the color combo. Great outfit- and love the belt. So sweet!